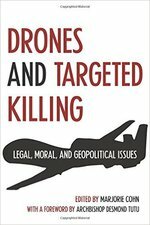 Marjorie Cohn will discuss her thought-provoking book (Drones and Targeted Killing: Legal, Moral, and Geopolitical Issues) about the use and impact of drone warfare in today’s world. 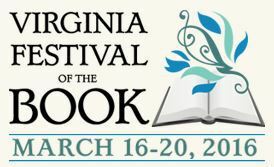 Cohn spoke at the Charlottesville City Council Chambers on March 19, 2016 as a part of the 2016 Virginia Festival of the Book. Following the presentation questions were taken from the audience. Our thanks to the Virginia Festival of the book and Charlottesville TV10 for providing this audio. 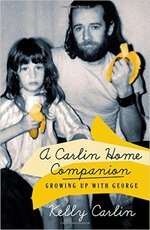 Kelly Carlin will discuss her book (A Carlin Home Companion: Growing Up With George) sharing her experience of having a comic genius as a father. Arguably the most influential stand-up comedian of all time, George Carlin’s “Seven Words You Can’t Say On Television” was the focus of a landmark Supreme Court decision on the First Amendment. Carlin spoke at the Charlottesville City Council Chambers on March 19, 2016 as a part of the 2016 Virginia Festival of the Book. The program was moderated by Josh Wheeler, Director of the Thomas Jefferson Center for the Protection of Free Expression. Following the presentation questions were taken from the audience. Science writers Marcia Bartusiak (Black Hole: How an Idea Abandoned by Newtonians, Hated by Einstein, and Gambled on by Hawking Became Loved) and Thomas Levenson (The Hunt for Vulcan: . . . And How Albert Einstein Destroyed a Planet, Discovered Relativity, and Deciphered the Universe) discuss their fascinating new books. The authors spoke at the Charlottesville City Council Chambers on March 18, 2016 as a part of the 2016 Virginia Festival of the Book. Following the presentation questions were taken from the audience. Authors Ron Bailey (The End of Doom: Environmental Renewal in the Twenty-first Century), Jonathan Cannon (Environment in the Balance: The Green Movement and the Supreme Court), and Jedediah Purdy (After Nature: A Politics for the Anthropocene) discuss their recent books. The three spoke at The UVa Harrison Institute, Small Special Collections on March 18, 2016 as a part of the 2016 Virginia Festival of the Book. Following the presentation questions were taken from the audience. Our thanks to the Virginia Festival of the Book and the Mary and David Harrison Institute for American History, Literature and Culture at the University of Virginia for providing this audio. Authors James Robertson, Jr. (After the Civil War), Mark Tooley (The Peace That Almost Was), and Joseph Wheelan (Their Last Full Measure) discuss their histories. The authors spoke at the Charlottesville City Council Chambers on March 18, 2016 as a part of the 2016 Virginia Festival of the Book. The program was moderated by Charlottesville-based historian and author Rick Britton. Following the presentation questions were taken from the audience. Authors Dwight Hughes (A Confederate Biography: The Cruise of the USS Shenandoah) and Charles Neimeyer (War in the Chesapeake: The British Campaigns to Control the Bay, 1813-1814) discuss specific aspects of 19th century American naval history. Authors Matt Burriesci (Dead White Guys: A Father, His Daughter, and the Great Books of the Western World), Mark Edmundson (Self and Soul: A Defense of Ideals), and Michael Pearson (Reading Life: On Books, Memory, and Travel) discuss the classics, ideals, and how stories lead us into and through our world. 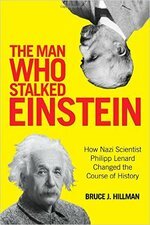 Bruce Hillman (The Man Who Stalked Einstein) shares a fascinating history, which explores high-stake competitiveness in early 20th century physics and how the antagonism between Einstein and Nobel Prize winner Philipp Lenard affected the direction of science for decades to come. Mr. Hillman spoke at the Charlottesville City Council Chambers on March 18, 2016 as a part of the 2016 Virginia Festival of the Book. Following the presentation questions were taken from the audience. William Heath (William Wells and the Struggle for the Old Northeast), Gregory D. Smithers (Cherokee Diaspora: An Indigenous History of Migration, Resettlement and Identity), Mary Stockwell (The Other Trail of Tears: The Removal of the Ohio Indians) discuss their complex histories of American Indian tribes, removals, and individuals. The three spoke at The UVa Harrison Institute, Small Special Collections on March 18, 2016 as a part of the 2016 Virginia Festival of the Book. Following the presentation questions were taken from the audience. The program was moderated by Virginia Foundation for the Humanities President, Robert Vaughan. Michael Suarez discusses the criminal levels of low-literacy in the United States and their social and economic cost. A member of the Library of Congress Literacy Awards Board, Suarez considers what is being done and what can be done to address this crisis in American life. Mr Suarez spoke at The UVa Harrison Institute, Small Special Collections on March 17, 2016 as a part of the 2016 Virginia Festival of the Book. Following the presentation questions were taken from the audience. The program was moderated by Barbara Heritage. Authors Katherine Loflin (Place Match: The City Doctor’s Guide to Finding Where You Belong) and Robert McDonald (Conservation for Cities) will talk about the power of place and the importance of integrating nature into communities. The authors spoke at the Charlottesville City Council Chambers on March 17, 2016 as a part of the 2016 Virginia Festival of the Book. The program was moderated by Charlottesville Tomorrow Executive Director Brian Wheeler. Following the presentation questions were taken from the audience. Authors Daniel de Visé (Andy and Don: The Making of a Friendship and a Classic American TV Show) and Gustavo Pérez Firmat (A Cuban in Mayberry: Looking Back at America’s Hometown) discuss The Andy Griffith Show,its stars and their friendship, as well as the cultural impact of the show even now, for viewers from any background. The authors spoke at the Charlottesville City Council Chambers on March 17, 2016 as a part of the 2016 Virginia Festival of the Book. The program was moderated by former Charlottesville City Councilor Kay Slaughter. Following the presentation questions were taken from the audience.